Download Mixcloud High Quality Music with Three Steps. 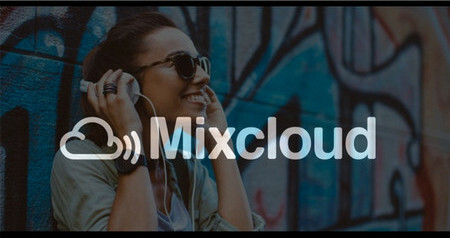 Mixcloud is a popular online music streaming service and users can listen to, collect or distribute radio shows, DJ mixes and podcasts. You are able to enjoy audio tracks that created by singers and bands from all over the world and set your own playlist. Mixcloud is not just a music website that allows users to upload and listen to music but also a place people can make friends over there as registered users can join a Group to share the common interests. 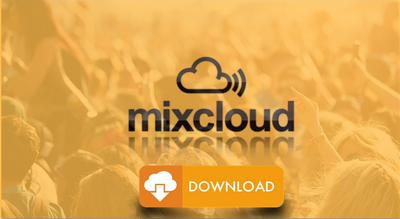 Due to licensing and copyright issues, users can’t download any music resources from Mixcloud. But when you meet your favorite ones and eager to catch them to devices for offline playback, how to do that? This tutorial will illustrate three methods to help you free download Mixcloud to MP3. Just select the way you like. 1. Free download and convert Mixcloud to MP3 320kbps. 2. It’s fast and easy-handle; catch online music resources with only three mouse clicks. 3. 100% free and clean. Safe and NO auxiliary software. Speaking of music downloader, I have to mention Free HD Video Converter Factory. It can free download music resources from Mixcloud, SoundCloud, Bandcamp, YouTube, Vevo and more without complex steps. New users can handle it for the first time. Besides downloading, it supports to convert the music tracks to other audio formats like MP3, M4A, OGG, DTS and more. Before start, please free downloadfree download this Mixcloud converter to your Windows computer then launch it. 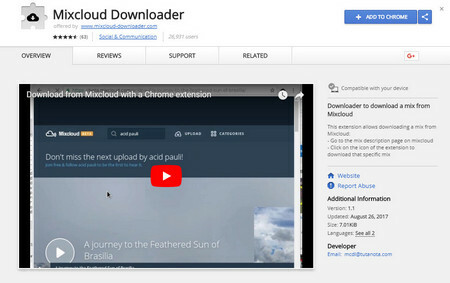 Head to the “Download Video” section and then paste the music link to the “Add URL” box. Now, click the “Analyze” button. It will take a few seconds to analyze the link you just pasted in. Press the “Download” button. Hold on a few minutes, you can enjoy the downloaded music file offline. By the way, here you can download the music resources in batches. Attention: There are only a few mixes that can be downloaded as high quality MP3 files. In most cases, the audio tracks that Mixcloud provides are normally streaming as an M4A file with a low bit rate, if you want MP3 files with higher bit rate, you can take the following steps. When finishing the above process, the download files will be automatically loaded into the program. You need to choose “MP3” icon under the Audio tab in the Format section. Then click “Settings”. It will pop up a window and you can change the audio bit rate to 320kbps. Now press the “Run” button to start the conversion. Tips: You can also convert the music files to other audio formats like AC3, AAC, WMA, OGG, DTS, etc. This freeware ensures you to make ringtone for your iOS and Android devices. 3: Then press the download button. 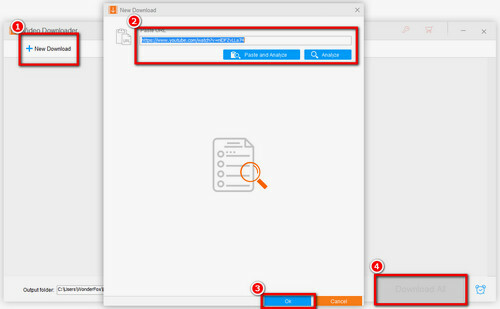 Other similar online downloading services are working in the same way: copy and paste the URL > hold on a second and convert > then download to your local disk. After installation, restart your browser and then visit Mixcloud. 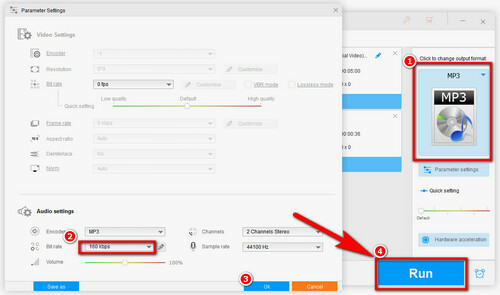 On the mix description page, click the browser add-on on the menu bar. It will save that specific mix to your computer. With the above three free downloading methods, I believe you can catch Mixcloud to MP3 and other audio formats without any hassle. Still, there’s one thing that should draw your attention: WonderFox does NOT advocate our users to download the copyright protected materials for any reproducing, distributing, transmitting, broadcasting, displaying or selling. 1. Extract audio tracks from any video. 2. Supports the lossless audio conversion. 3. Compress the large audio files to the smaller size.